Tim and his friend Raff are spending their holidays helping Tim’s mum on a fossil dig. Raff thinks it’s really boring, until Tim finds a strange device at the edge of the dig site. It looks like a rock, but it has numbers on it. 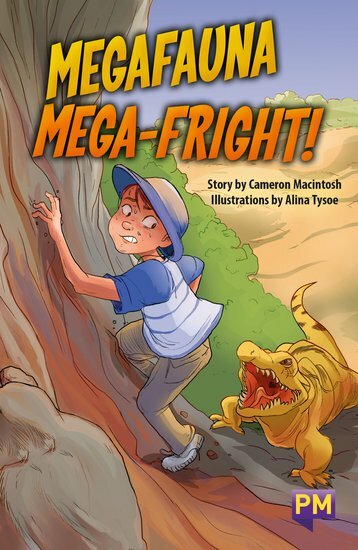 All of a sudden, Tim and Raff find themselves in an unfamiliar land full of creatures that look a lot like dinosaurs! Will the boys be able to escape the megafauna and find their way back?